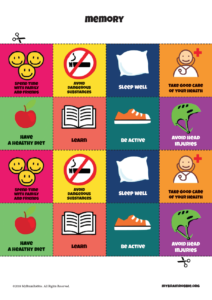 The present initiative is a creative effort to raise awareness and promote better understanding of brain health in children aged 6 to 12 years old and, more broadly, to increase global public awareness of the importance of brain health to all age groups. Scientific research in neurology and in epidemiology has shown that early prevention and lifelong healthy lifestyles may mitigate the risk of developing chronic diseases including dementia. 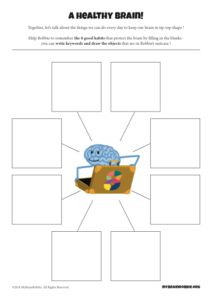 We created a character named Robbie and a video that presents scientific knowledge about brain health prevention as a fun and engaging narrative. 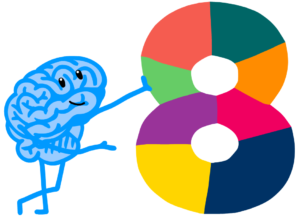 Robbie the brain explains to us the things we can do every day to keep our brain healthy. 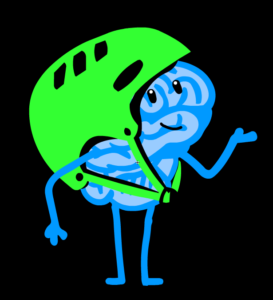 Our goal is to empower children (as well as teenagers, adults and older people) to maintain a healthy brain throughout their lives by providing them with simple public health messages. 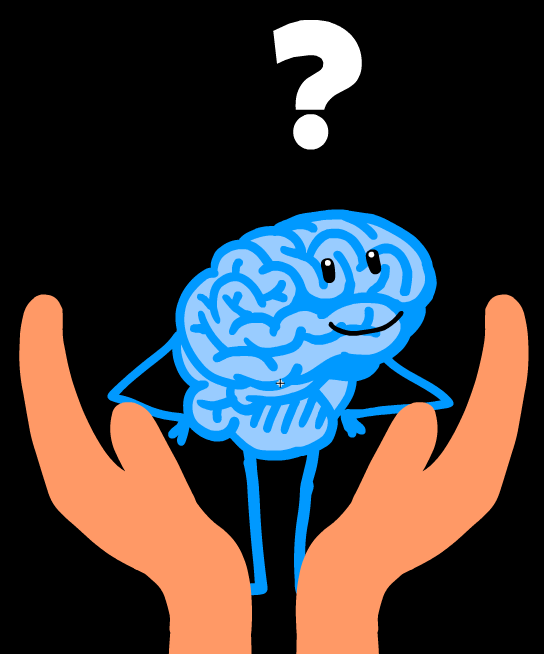 In an effort to reduce health inequalities and promote health, we plan to translate our video A healthy brain ! into different languages and to distribute it for free. SO, PLEASE CHECK IT OUT AND SHARE IT! The present project was designed and developed by Eleonore Bayen, an Atlantic Fellow for Equity in Brain Health at the Global Brain Health Institute. 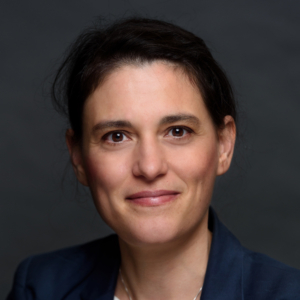 Eleonore Bayen is currently an Assistant Professor in Neuro-Rehabilitation in Paris at Sorbonne University – La Pitié-Salpêtrière Hospital. She holds a Medical Degree in Neurology and a PhD in Health Economics. She is part of the first cohort of Atlantic Fellows who graduated from the Global Brain Health Institute. The Global Brain Health Institute (GBHI) works to reduce the scale and impact of dementia around the world by training and supporting a new generation of leaders to translate research evidence into effective policy and practice. Founded with support from The Atlantic Philanthropies, GBHI is led by the University of California, San Francisco, and Trinity College Dublin. The video was created thanks to an amazing team of teachers, health professionals, doctors, scientists, and experts in communication and design, including Atlantic Fellows and Faculty from the Global Brain Health Institute. We are very grateful to these extraordinary collaborators who gave up their time to support this non-profit project and brought their pedagogic skills, energy and passion to the table! We also thank The Atlantic Philanthropies and the Atlantic Institute. This project has been supported by the Alzheimer’s Association and the Global Brain Health Institute. The video can be broadcast in different environments, including schools. 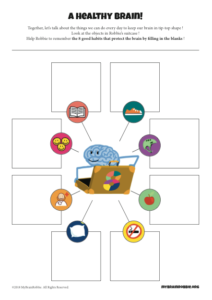 In order to support public health interventions about brain health in elementary and middle schools, we have created an educational pack that complements the video. It contains work sheets that can be used by school teachers, volunteering students and volunteers. The video as well as the educational material are free to access and cannot be used for commercial purposes. Barnes DE, Yaffe K. Lancet Neurol. 2011 Sep;10(9):819-28. doi: 10.1016/S1474-4422(11)70072-2. Norton S, Matthews FE, Barnes DE, Yaffe K, Brayne C. Lancet Neurol. 2014 Aug;13(8):788-94. doi: 10.1016/S1474-4422(14)70136-X. Prévention de la maladie d’Alzheimer et des maladies apparentées. Haut Conseil de la Santé Publique (HCSP). Collection Avis et Rapports. Décembre 2017.